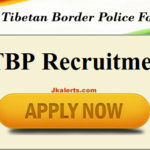 ITBP ASI (Pharmacist & Lab Technician) Recruitment 2018 Indo-Tibetan Border Police Force (ITBP) invites online Application Form For Assistant Sub Inspector (Pharmacist & Lab Technician). In Para-Medical Group C. Interested Candidates Read the Full Notification Before Apply Online . All the Interested candidates can apply will through online mode. (No offline applications will be accepted)..